Our Dance floor hire covers a large area including Hertfordshire, Essex and Buckinghamshire. 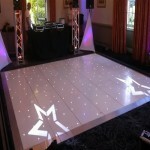 Dance floors provide a great feature piece to impress you guests. Options are endless from dance floors to a raised island for your top table to a starlight aisle. 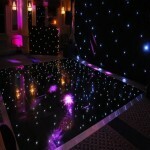 Available in sizes from 8ft to 20ft. Dance floors are available in Black and White Starlight, Black and White Chequer board, parquet wooden dance floor, plain white dance floor or plain black dance floor. 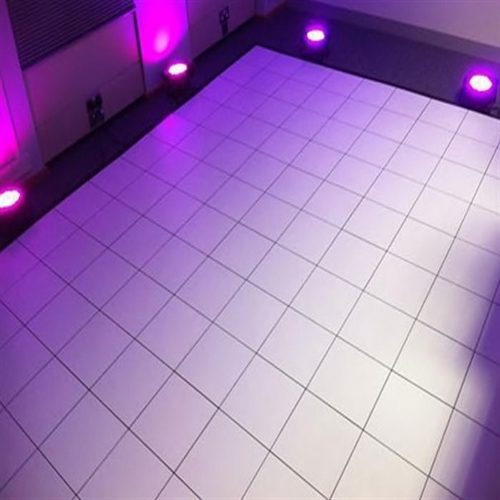 All of the dance floors are renewed each year to keep them looking fantastic so beware of cheaper suppliers offering sub-standard, scratched, dull dance floors at rock bottom prices! 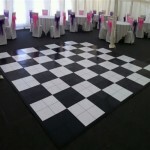 It’s your wedding day, expect nothing but the best! 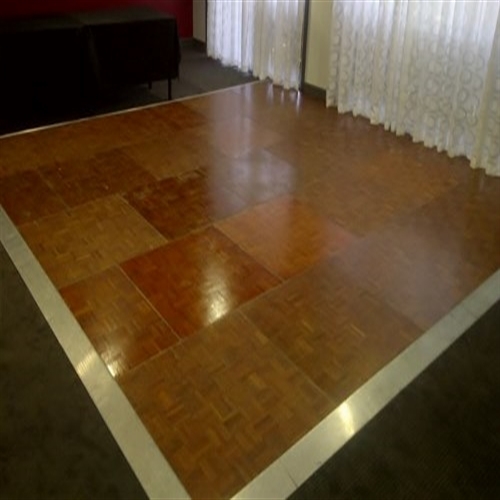 There are a couple of options available. 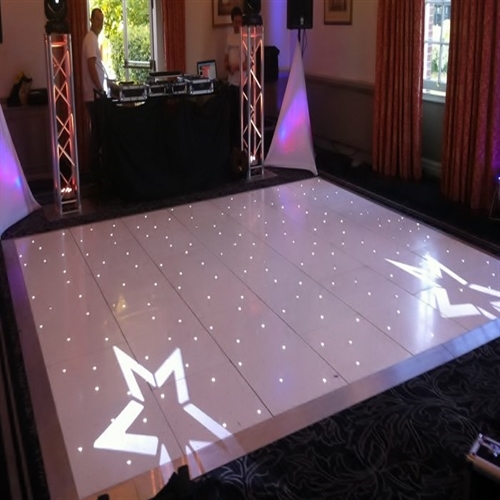 You can have the dance floor installed earlier in the day, this is perfect for weddings that take place in a marquee or you can have the floor installed straight after the wedding breakfast. 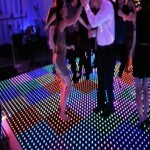 As a guide, a typical 16ft x 16ft dance floor for 100 people will take around 45 minutes to put together.